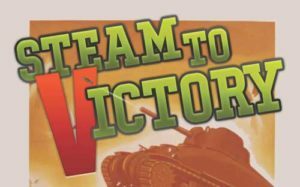 Age of Steam Roundhouse – Discover the Glory Days of Railroading! Discover the Glory Days of Railroading! Needing a place to safely store and restore his fleet of railroad old-timers, our founder Jerry Jacobson acquired 34 acres of farm land located immediately adjacent to the Ohio Central Railroad main line track, and right alongside a road named Smokey Lane. Today the site consists of storage tracks, a store house, coal dock, wood water tank, ash pit, back shop and the jewel of the site, a complete, working, 18-stall, brick roundhouse surrounding a 115-foot turntable and turntable pit. Other than a few, small roundhouses recently built for railroad museums, we believe that this is the first full-sized, working roundhouse built in the U.S. since 1951. The Age of Steam Roundhouse is more than just a museum and collection. 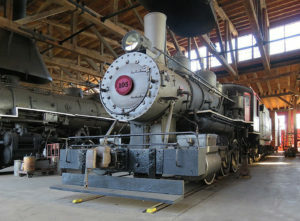 It is a living, breathing roundhouse where talented restoration specialists work to preserve the locomotives, railroad cars, tools and machinery of the glory days of railroading. Public tours are offered seasonally (May thru October) on Thursdays, Fridays, & Saturdays. 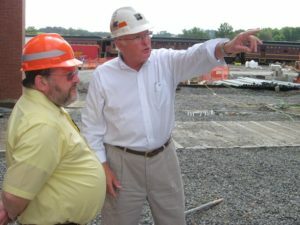 The Age of Steam Roundhouse was constructed and is maintained with private funds donated by the Jerry and Laura Jacobson Foundation, Inc., a tax-exempt 501(c)(3) entity. Visitors to the Age of Steam Roundhouse experience an immersive trip back into the heyday era of steam locomotives and travel. 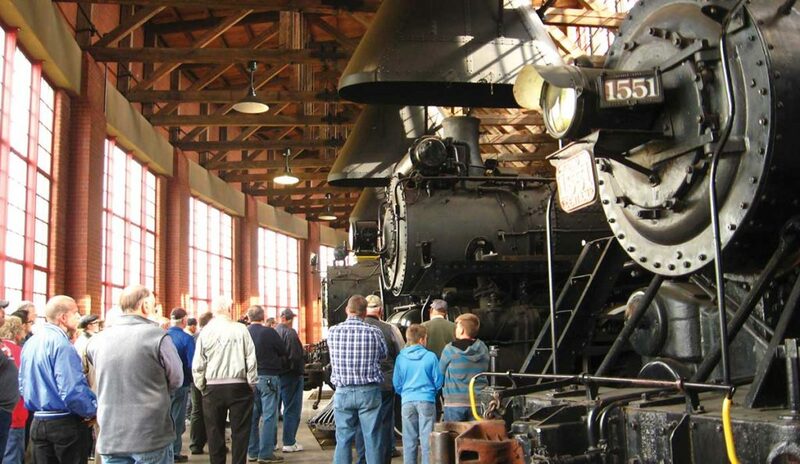 Highlights of our guided tour are: an 18-stall, accurately reconstructed brick roundhouse surrounding a 115-foot turntable, the largest private collection of steam locomotives in the world, and a fully functioning, working back shop where skilled Age of Steam Roundhouse staff actively continue to restore and repair steam locomotives. Additionally, visitors will discover the tools used to keep locomotives on the rails, the bells, whistles and lights that made these engines unique, and much more. Public tours are offered seasonally (May thru October) on Thursdays, Fridays, & Saturdays. Tickets can be purchased via the link below. The Age of Steam Roundhouse preserves the largest private collection of steam locomotives in the world, including 22 historic steam locomotives in various states of restoration and preservation. Explore our Roundhouse Reports for the latest news on restorations, programs and happenings at the Age of Steam Roundhouse. Sign up to get interesting news, the Roundhouse Report, information on special events, and updates delivered to your inbox.